Imprisoned drug dealer Cameron Douglas has got a lot of people who love him. Earlier this year Cameron Douglas pled guilty to dealing crystal meth, for which he faces at least ten years behind bars. His sentencing is scheduled for next week, during which his famous family thinks the judge should go easy. 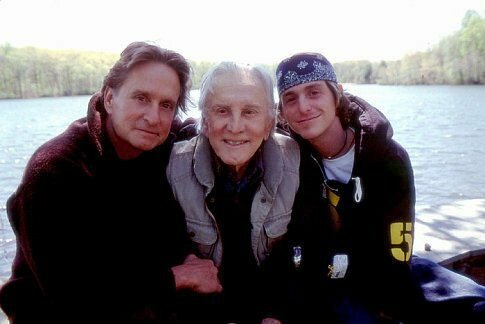 In a letter to Judge Richard Berman, Cameron’s 93-year-old grandfather Kirk Douglas said his dying wish was to see his 31-year-old grandson succeed as an actor. “I am convinced that Cameron could be a fine actor and a person that cares for others. I hope I can see that happen before I die. I love Cameron,” he wrote in a letter made public by the federal court in Manhattan. Cameron’s father Michael, as well as his stepmother Catherine Zeta-Jones also wrote letters to the Judge, as did NBA basketball executive Pat Riley and other close to the Douglas family. They all agreed that Cameron is a drug addict who deserves rehabilitation, not punishment. …In her letter, actress Zeta-Jones, who won an Oscar for her role in the movie musical “Chicago,” said Cameron Douglas was a loving sibling to his step brother and sister and that he “tried to combat” the “disease” of drug addiction. The letter written by Michael Douglas was not made public. Cameron Douglas was arrested in July 2009 at in New York after he was caught dealing large quantities of crystal meth. His lawyers are asking Judge Berman to hand down a sentence of only 47 months (just under four years).